The Purmort Brothers Insurance Agency was formed in 1876. We were the first sales outlet for the Van Wert County Mutual Fire Insurance Company, presently The Central Insurance Companies. The company had started months prior to the agency and made a decision, unlike a lot of companies at the time, to sell insurance through independent insurance agencies. 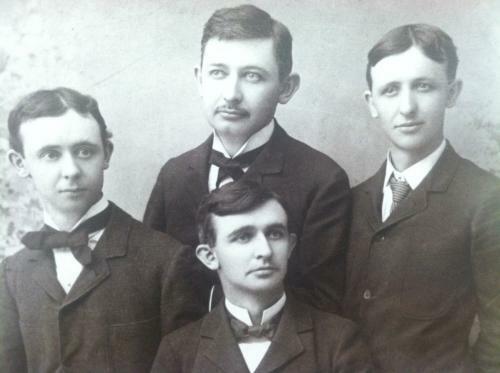 Minor L. Purmort, the second general secretary of Central Companies, had four sons and these four boys are the original Purmort Brothers: Frank W Purmort, Clyde Allen Purmort, Sanford Purmort, and Charles M Purmort, Sr. Currently the agency is owned by Timothy L Purmort, the grandson of Charles M Purmort Sr. and Tim’s daughters Michele Purmort-Mooney and Leah Purmort-Treece. It is truly remarkable to have the 4th and 5th generation of the Purmort family running the agency. Proud of our Heritage... poised for the Future! The Purmort Brothers Insurance Agency was formed in 1876. We were the first sales outlet for the Van Wert County Mutual Fire Insurance Company, presently The Central Insurance Companies. The company had started months prior to the agency and made a decision, unlike a lot of companies at the time, to sell insurance through independent insurance agencies.